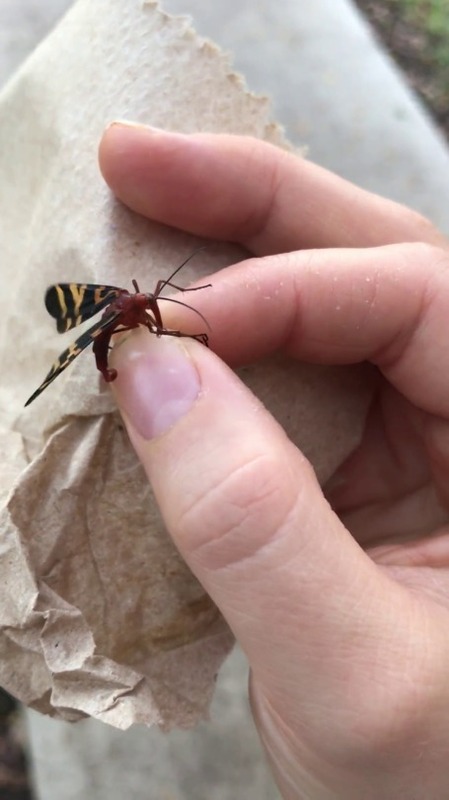 This is a female scorpionfly (Order Mecoptera) that I caught a couple of months ago. I love the movements on her wings. I have never seen video of a scorpionfly before!!! These are only out briefly in early fall, which is RIGHT NOW I NEED TO GO LOOKING FOR THEM!!!! !